FastTrack Automation Studio is in two parts. When you start the studio, you start in the Home Screen. The Home Screen is basically "just" a script writer. It doesn't do anything you could not do yourself in the other part the Script Editor. 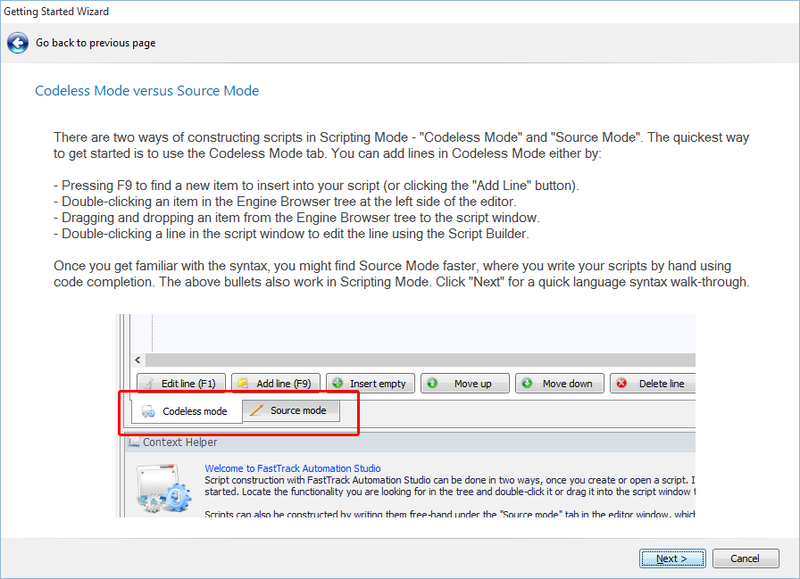 This page covers the core scripting language that you use in the Script Editor. 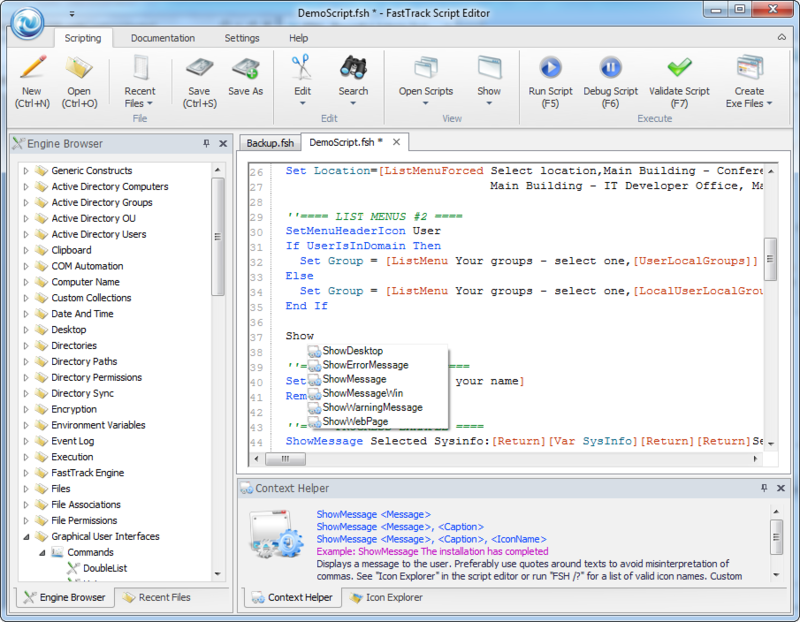 FastTrack is at its core a scripting language and is in effect the only true high-level scripting language out there. With competitive languages, you do a lot of time-consuming plumbing to accomplish things and the complexity of this alone prohibits you from doing a lot of things you would like to do. Most other scripting languages are very close to programming languages and many of them are in fact subsets of real programming languages, like VBScript. Or in the case of PowerShell, an actual programming language. And then you often find yourself using other people's snippets that you find on the internet. It is very difficult to script even simple things, even to a developer, and in most organizations, you will not find a developer in the systems administrators department. This leaves systems administrators with limited options of automating even the simplest things. This is why FastTrack was invented. Without it you need programming skills to script (=automate). Read on to learn, how FastTrack can solve this problem for you. 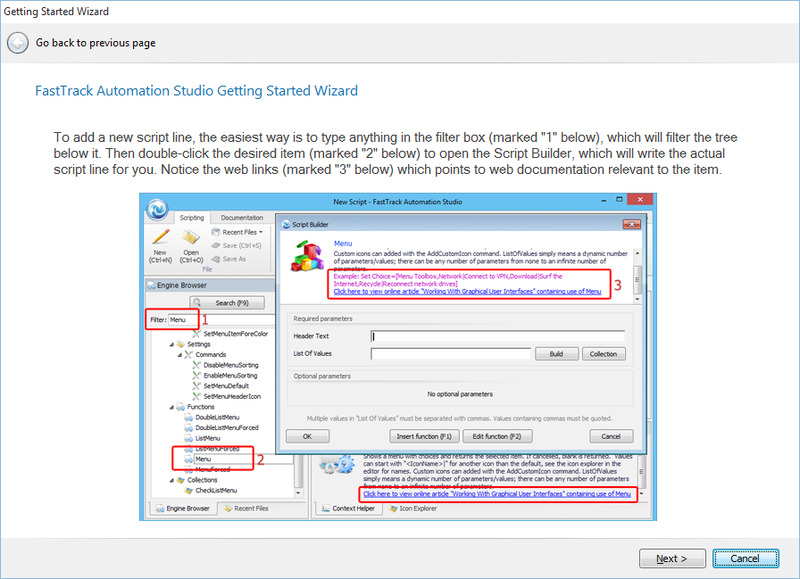 After successful installation, start the editor from the "FastTrack Automation Studio" icon. The first time you start the product, the Home Screen from our drawing above will show as the default "mode" until you eventually click the "Script Editor" button. When you click one of the other buttons, you are taken through a simple wizard that will build and exe or msi file for you from simple questions. What really happens is that a small script is built for you and compiled into an exe or msi file. 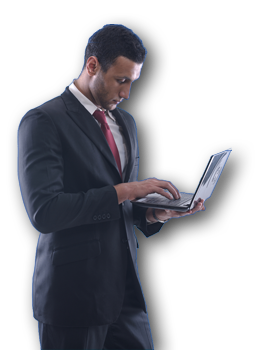 This approach will solve any of these tasks in minutes for you without any prior knowledge of FastTrack. The video below shows use the Home Screen. If you haven't installed the software yet, you must download and install it. This is a simple process that takes a few minutes. The first time you start the editor, you are offered to open a demo script. Try running it by pressing F5 in the editor. You can also press F6 and run a script in debug mode. Running in debug mode allows you to step through the script and see exactly how the script is parsed at runtime. The "Engine Browser" tree shows all commands, functions, collections and conditions. When an item is marked in the tree, the "Context Helper" shows a full explanation of the selected item. If you for instance need to execute a program, you locate the "Run" command in the tree and double-click it to insert it into your script at the cursor position (or drag it into the script). 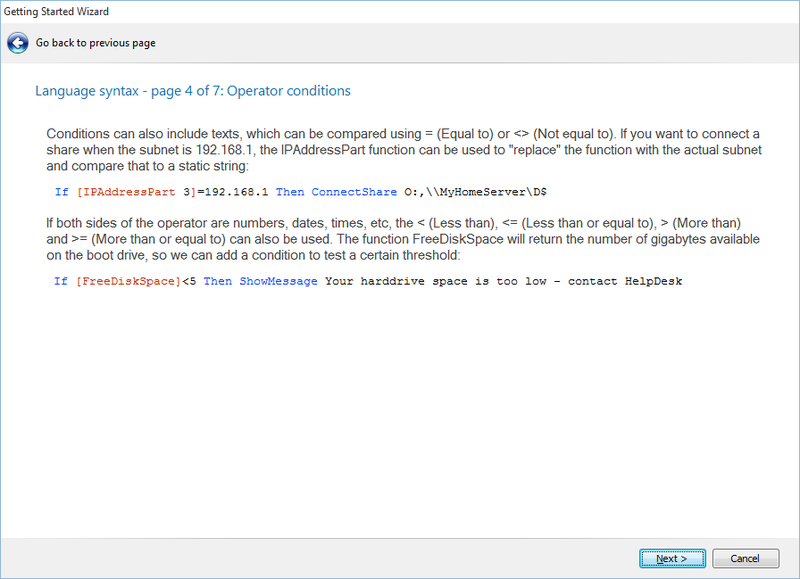 A Script Builder is opened to help you create the correct parameters. 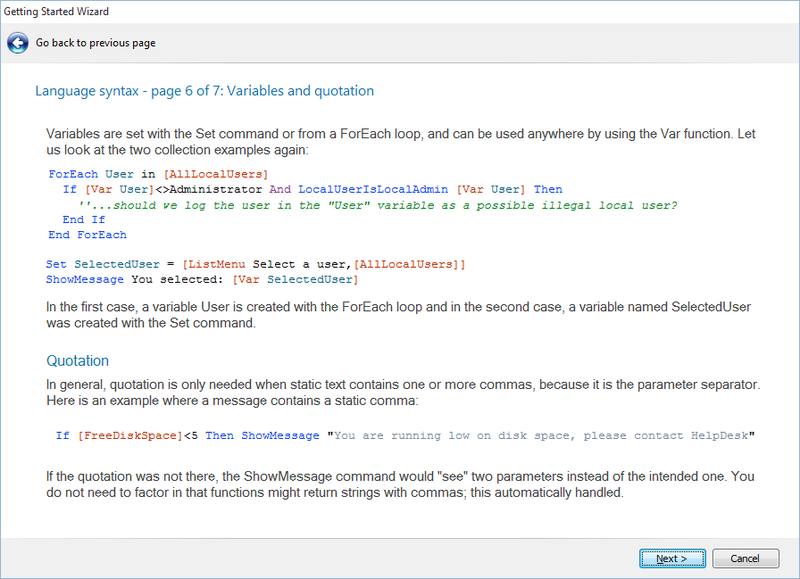 The editor automatically highlights commands, functions, collections, conditions and loops (which are all explained further down this page). As you move around in your script, the editor senses what you are doing and automatically displays an explanation in the "Context Helper" panel. This happens completely on-the-fly as you type letters or move around in the script. As you type, the case will also automatically be corrected. If you type the command "splash", it will automatically be corrected to "Splash" (with a capital S). The editor also has code completion: In the above screen dump, "Show" was typed, and 6 commands are suggested. You can disable the Script Builder, if you prefer to write the parameters directly in the script. If you do so, a template is copied into the script instead. You will most likely find that in the beginning, you will be using the property builder, but as you get familiar with scripting, you will write the scripts directly with aid from code completion. A small tip on finding a command: When you write a new line, you can press space to open a full code completion window. When you select a command, the space is removed. 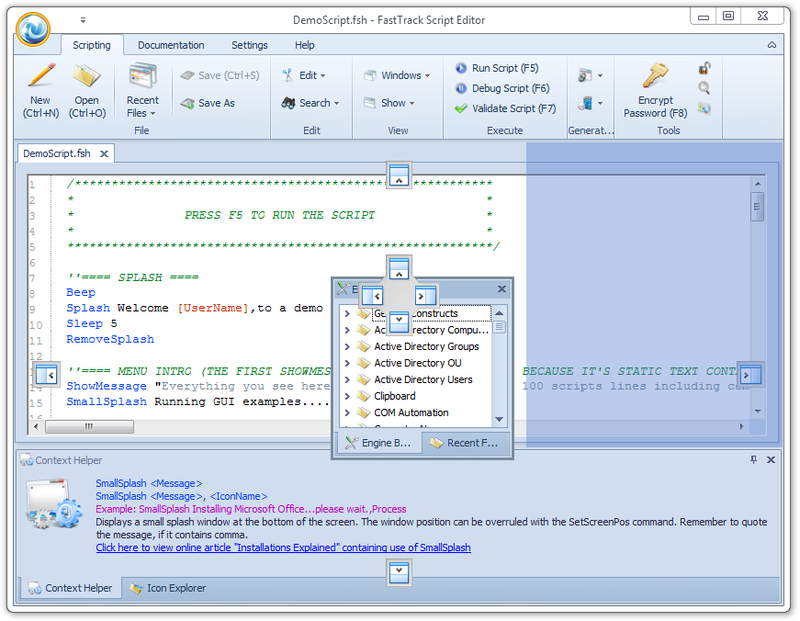 To ensure script quality, a script validator is built into the editor. When you save or execute a script, a simulated run is performed to validate if there are any syntactical errors in your script, like a missing parameter. If the script cannot pass a simulated run, you will be notified of what line is the problem. This means that you cannot save or execute an invalid script, unless you uncheck the "Validate Before Save" setting. 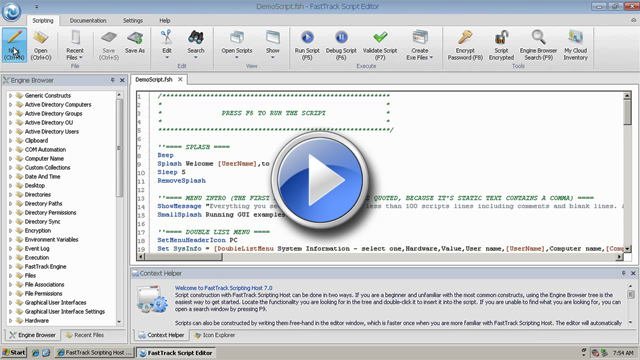 You can also watch the video below, which goes through the absolute basics of writing and executing a script from the FastTrack Automation Studio editor. As you could see from the wizard pages, FastTrack scripts generally consist of 5 types: Commands, functions, collections, conditions and loops. In the first sections, we will be referring to the example below, which could be put into the "Startup" folder of a computer. Upon execution, it will determine if the computer is at home or at work and execute script lines based on this logic. A command is an operation that "does something", like performing a file operation, connecting a share, etc. Everything else is basically there to support the commands. In our example above, "SmallSplash" and "DisconnectAllShares" are examples of commands. 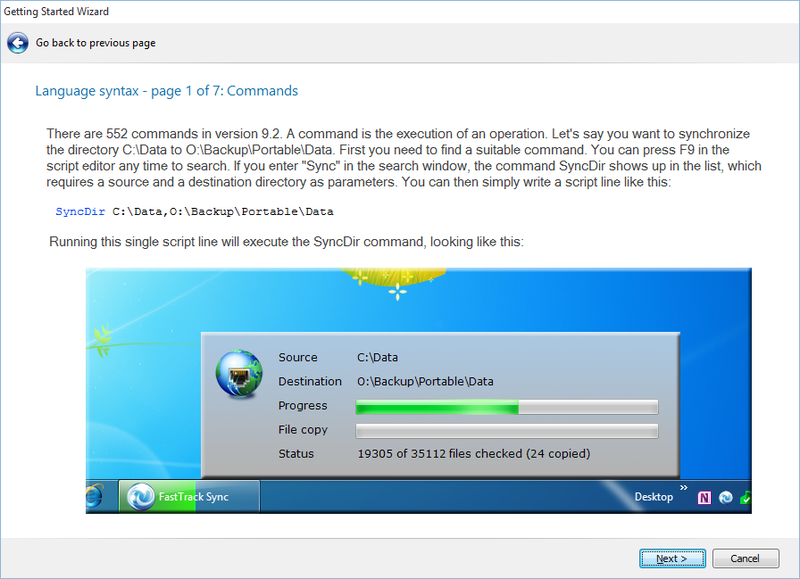 You can write your own custom commands, please refer to this article for more information. A function is notated with square brackets, like [UserFullName] and is replaced by the result of the function before commands are executed. In this case it would be replaced by the currently logged on users' name. In the example above, "IPAddressPart" and "ProgramFilesDir" are functions that are replaced by the 3 first digits of the current ip address and the program files directory path respectively. You can use functions inside functions like [UserFullName [Var user]]. 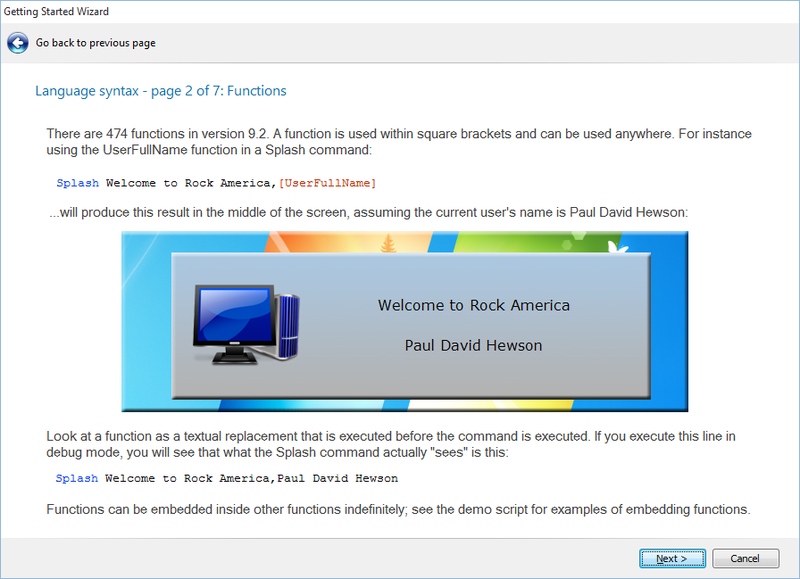 Like with commands, you can write your own custom functions, please refer to this article for more information. Think of a function as a textual replacement before commands, conditions and loops are executed. A command will see the replaced function value when it executes. If the first parameter was not quoted, the engine would "see" a total of three parameters, which will result in a run-time error, because only two parameters were intended. Refer to the Executing programs page for more examples on parameters and quotes. The example in the "Loops" section further down makes use of the collection "SubDirectories". The collection "SubDirectories" will build a list of values (directory names) and pass that as a list of values/parameters, as if it was statically entered in the script. It is also possible to build a custom collection. The custom collection functionality is shown under the "Custom Collection" item in the script editor Engine Browser tree. 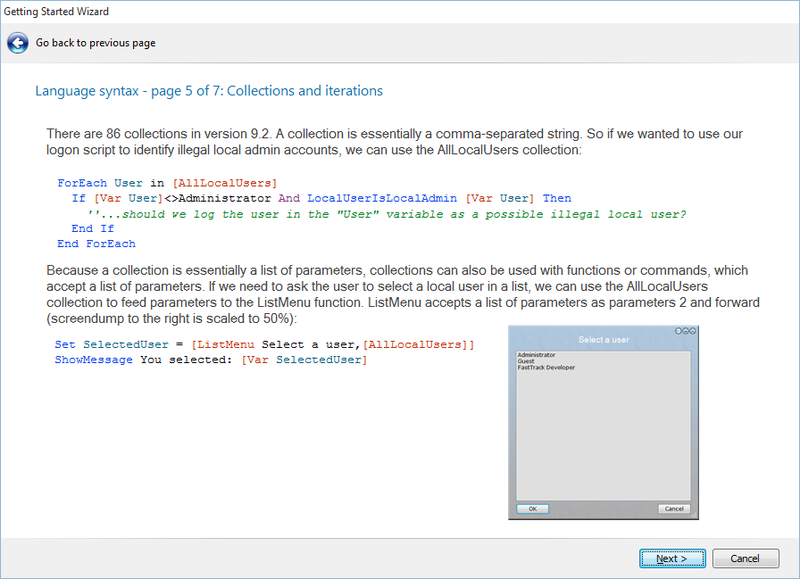 A collection is initialized by using the "CreateCollection" command and then during execution, items can be added to the collection using the "AddToCollection" command. The custom collection is then used by passing its name to the collection that is named "Collection". A good example of a custom collection is the Obsolete Account Report script shown here. As a footnote, it should also be mentioned that a custom collection can be return from a custom function, see here for details. If preferred, you can use a dollar sign instead of the Var function, for shorter syntax. This means that the script below is the same as the script above. In this case, the backup is only performed on a portable computer. You can always specify "not" after if for the opposite result, effectively yielding the same result with a "Not Desktop" condition. A condition can be switched with an optional "Else" in between. Lines 3 (If), line 6 (Else) and line 9 (End If) in our first example, is an example of a common If...Then/Else/End If construct. 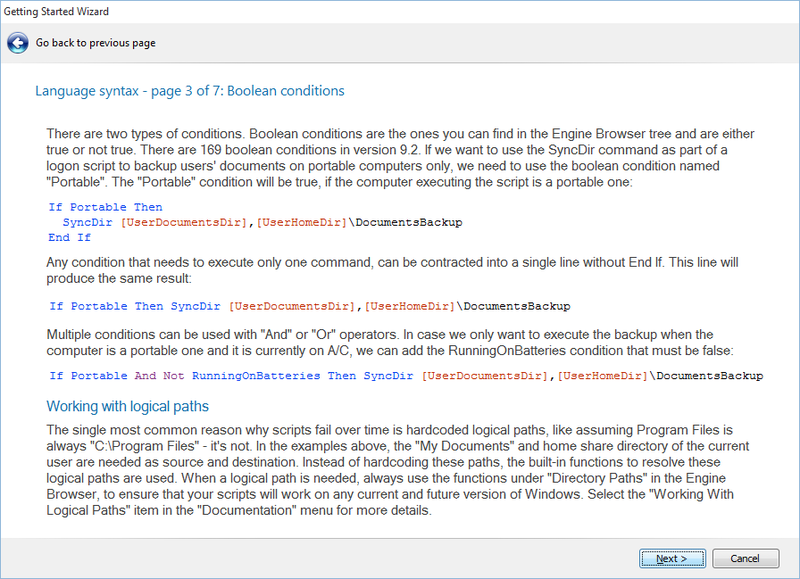 Conditions in the engine browser tree are boolean conditions and can be used simply like 'If Desktop Then', but conditions can also use an operator comparison, typically comparing the result of a function. In our first example, "IPAddressPart" does this. The text returned by the IPAddressPart function is compared to a static text. Comparison can be equal sign (=) to test if one side is the same as the other. For testing if values are different, either use the 'not' operator before the condition or use not equal to (<>). Less than (<), Less or equal (<=), greater than (>) and greater or equal than (>=) are also possible, but requires that both sides are numbers, dates, time or date and time combined. When using operator conditions that require a certain type, a run-time conversion is attempted on both sides. If one side cannot be converted to a compatible type, a run-time error will occur. Regular AND and OR operators are possible, as shown below, where a document backup is performed, if the computer is a portable computer and it is running on A/C. Operators and boolean conditions can be combined. While constructs are also possible. "While" executes the inner script lines until the subsequent "End While", while the initial condition is true. Examples of while loops could be performing the iteration until a certain time or iterating through a string with the IndexOf function. All the same rules that apply to conditions apply to "While". Note that there is no checking for eternal loops, because this could be intentional; unless intentional, always remember to think about that the condition must at some point not be true. The Switch/Case/Default construct was also introduced in version 6.5 and could also be achieved otherwise in previous versions. Anything that can be done with a switch construct can also be done with if-statements, but when conditions get complicated, it is often easier to read and maintain a switch construct. The "Switch" block will take any value as the switching value and would typically be the value of a variable from the Var function - or the result of any other function. The "Case" determines if the lines following until the next "Case", "Default" or "End Switch" is to be executed or not. If the "Case" value is the same as the switching value, the following lines are executed. Functions and collections are residing inside square brackets, [ and ]. If you are ever in a situation where you need the bracket characters themselves for for instance writing a registry value that contains them, you must use a function to escape the characters. The [BracketStart] function will produce a start bracket char and [BracketEnd] will produce an end bracket char. A comment can be used anywhere, and is noted as ''. Anything beyond it on a line is considered a comment. Block comments must start with /* and end with */. If you have a script written in another scripting language that you want to include within your FastTrack Script, you can simply issue a Run command. If you need to hand over a status from the embedded script, or an executable, you can facilitate exit codes or store data in a temporary location. Please refer to this page for more information on how to embed PowerShell, VBScript and KiXtart scripts in FastTrack scripts. To see the command line options, just issue "FSH /?" and look at the last tab. For distribution to all your clients in a network, it is highly recommend that you use the free FastTrack Logon here. It will automatically distribute the engine and logon scripts to all clients seamlessly without requiring any kind of privileges on the client computers. ...will append all execution errors on the entire network to the log file. Consider the amazing overview you would get as a systems administrator, all errors on all machines logged in a single file! The engine has two parameters related to the way faults are handled. In general there is a distinction between runtime errors and script errors. Script errors (malformed script, like a wrongly spelled command) stops the script execution entirely by default and shows the error to the user, but still runs the error handler script first. Runtime errors (like a computers' group membership cannot be resolved, because a domain controller cannot be reached) also stops execution by default and runs the error handler. But you can decide a different behavior with command-line parameters. If you specify /ie, runtime errors will continue execution and every time a runtime error occurs the error handler script is executed. If you use this switch, a failing functions will return a blank string and a condition is never entered. You can also ignore script faults with /if, but this is not recommended, because you might never find out that your script is malformed. 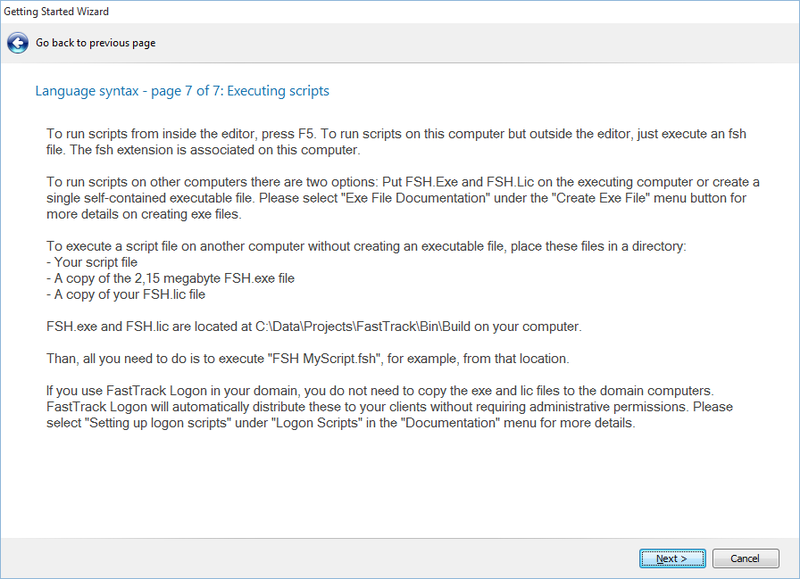 FastTrack Logon executes logon scripts with /ie to ensure full execution. If you used the line above, you will know what fails instead of showing it to user. Note that execution of the ErrorHandler.fsh is a blindfolded execution. It does not include itself again, if there is a fault it in, since this would produce an infinite loop, so be sure your script actually works. If it is complex, you should test it by executing it by itself from the editor.